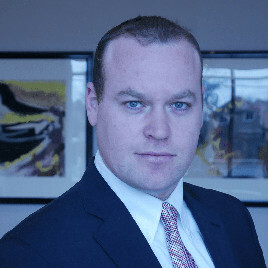 Avi Charney is the founder of Charney Legal, a solo law firm in Toronto serving the diverse legal needs of clients throughout the GTA, including will preparation and estate planning. Most people understand and agree that having a will and proper estate plan just makes sense. Unfortunately it is one of those things that is often put off and not given the immediate consideration that it deserves. Every adult – Even those of modest means – should have a will and power of attorney established for care and property. Shockingly, the majority of people in Ontario do not have these cornerstone documents of sound life and financial planning. A will is the easiest and most effective way to tell others how you want your property and possessions distributed when you die. Power of attorney (Both personal care and property) are documents drafted to give a person you trust, the legal authority to make financial and personal health care decisions on your behalf should you become unable to do so due to injury, illness or disease. At Charney Legal, we have extensive experience drafting wills, power of attorneys and estate plans for residents of Ontario. A well executed estate plan takes into consideration tax, probate and insurance, as well as family dynamics. We help arrange your financial affairs to avoid ambiguity, unnecessary taxes, and litigation. Mr. Charney advises and drafts these important life and financial planning documents for individuals and families with extensive estates and great wealth as well as those of modest means and relatively straight forward estates. + Who will act as your Estate Executor and Alternate Executor? + How do you wish the assets of your estate to be distributed? + Are there important items you wish to include and bequeath to anyone in particular? + Are there assets or special needs beneficiaries who require specific planning or management? + Who will be named the guardian(s) of your minor children? + At what age will the minor beneficiaries receive the entitlements under your Will? + Do you wish to leave any instructions to the guardian(s) of your minor children? A valid, carefully drafted Will helps secure your family’s financial future by protecting your assets from unnecessary taxation, and limits potential probate fees payable by your Estate. Most importantly, your Last Will and Testament ensures that your Estate will be divided among those you have specifically chosen.